Do you need ideas on what to put in your child’s Easter basket this year? Look no further, you can get creative and crochet these little bunny, chick, and unicorn stuffies for a non-candy treat in your child’s Easter basket! All of these unique Easter basket ideas have the option to put in a shaker! It’s pretty simple: add some rice or beans to a small plastic Easter egg and put it inside with the stuffing! It’s a great little noise maker for toddlers or you can opt to leave it out for just a cute little stuffie! In addition, you can leave out the flower crowns and they will be suitable for little boy’s baskets! 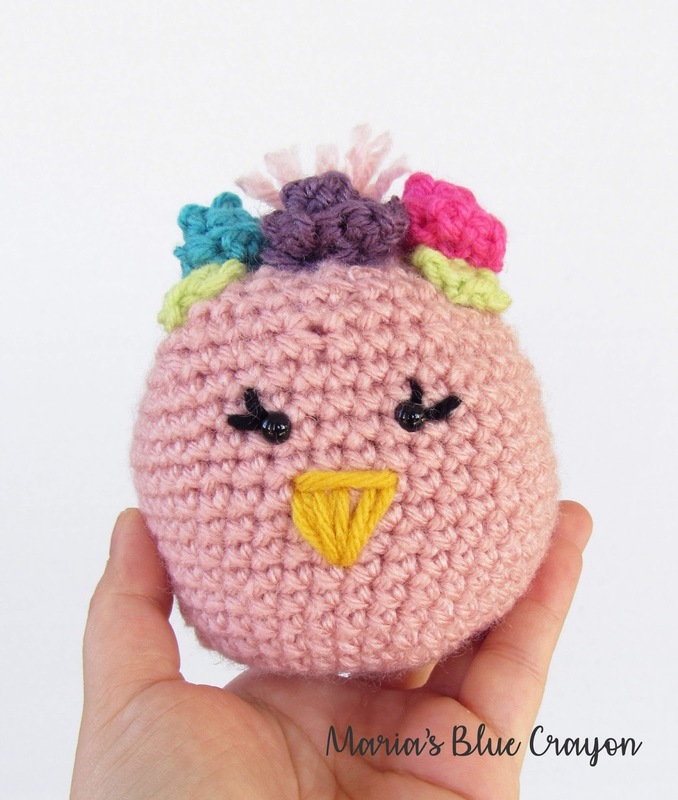 You can find the pattern for the chick here. 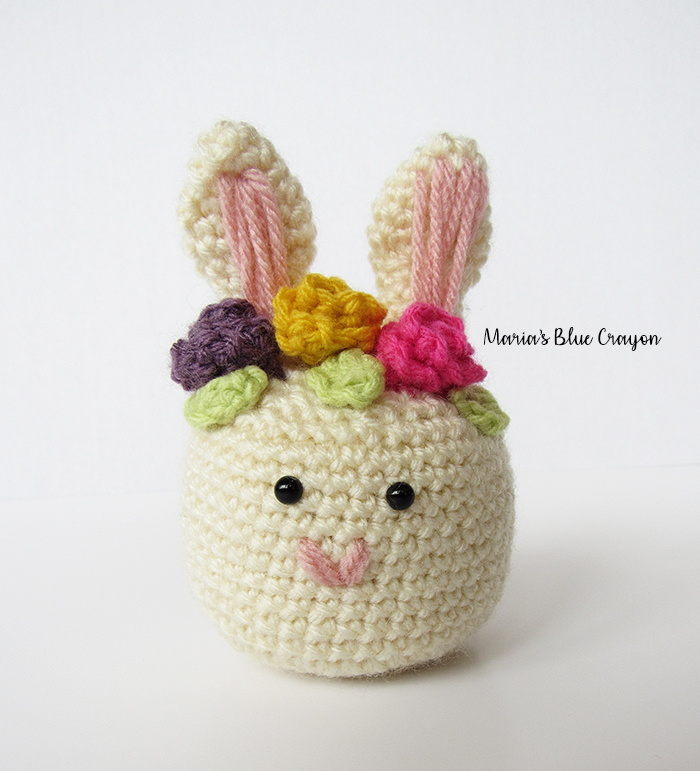 You can find the pattern for the bunny here along with the pattern for the flower crown. 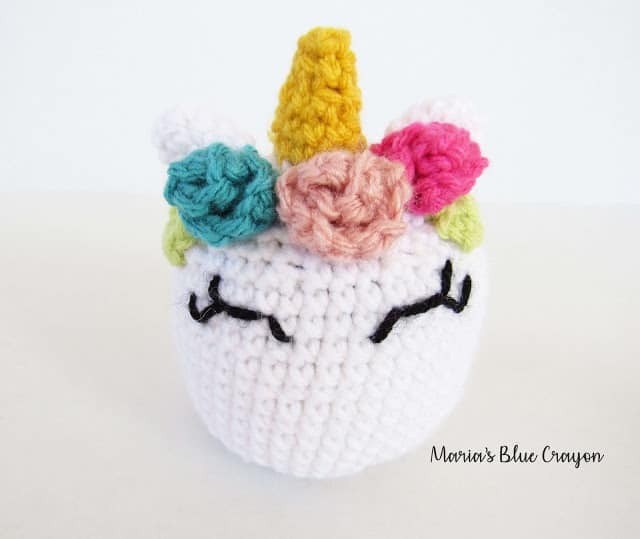 Once I made the unicorn, I looked around on Pinterest and saw that a fellow blogger made a pretty darn similar one! I didn’t write up another pattern for it because why fix something when it’s not broke? 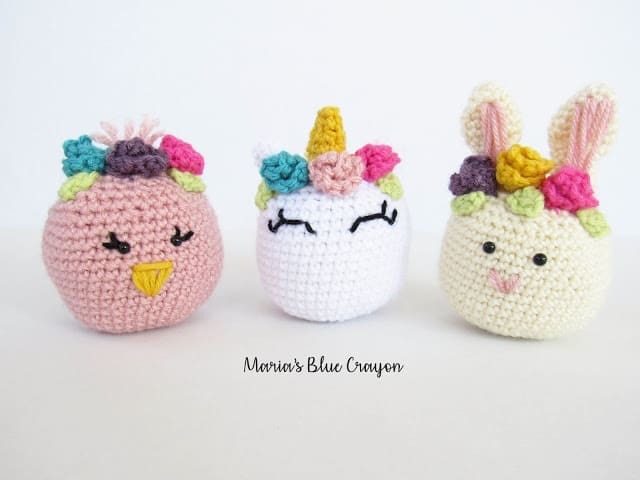 Here is the link to find her unicorn pattern. 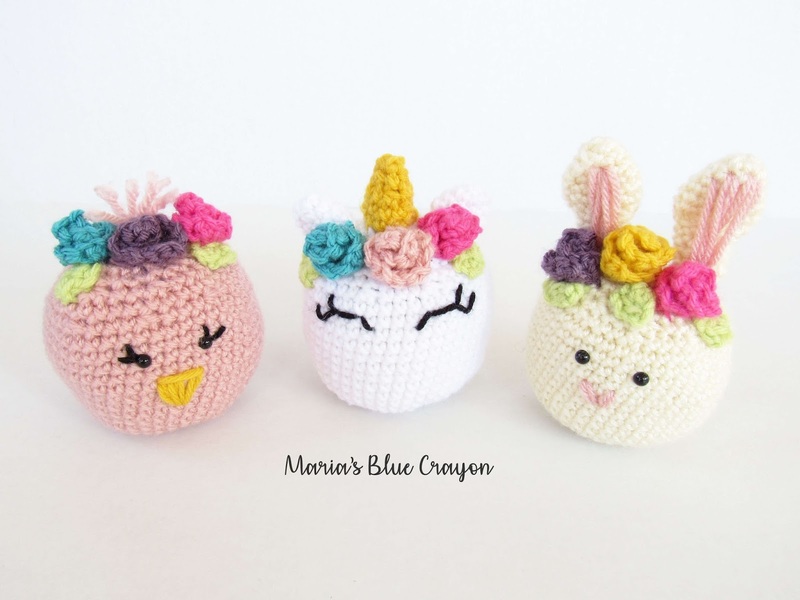 *If you’d like to make the style of flower crowns to match the other two, you can find the flower crown pattern here in the bunny post. I would like to caution when making these, depending on the yarn you use they may come out bigger than expected. I used Lion Brand Vanna’s Choice for all of them and they came out to about 4-5″. Using something like Red Heart or I Love This Yarn! may result in a much bigger critter. If you prefer that, great! If you would rather have something on the smaller side, I suggest using a smaller hook size if you go with a worsted weight yarn that is not Vanna’s Choice. I hope these little toys will make your littles smile and that they love finding these little toys in their Easter baskets! Nice setup with really a classy look. Some time ago I was looking for such an event too, which will be in my budget and the one that is appreciated by all. During my search I found these New York venues and got fully satisfied and I am very much impressed by their settings and helping environment.